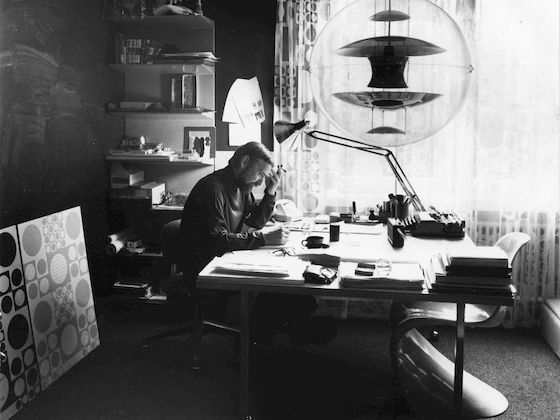 Her husband made design history – primarily due to a single piece of furniture. 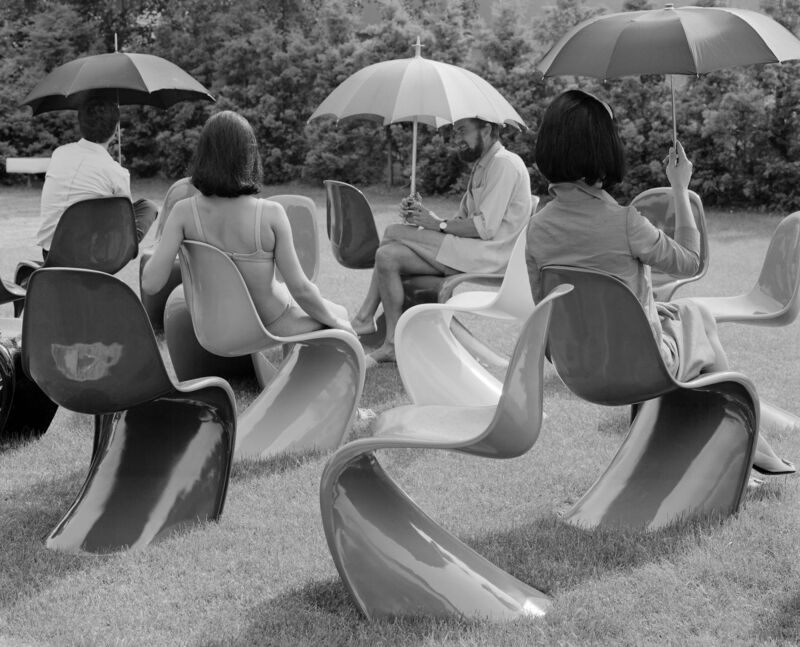 On the 50th anniversary of its inception, Marianne Panton looks back on their life together and the creation of the Panton Chair. This portrait by Jochen Overbeck was first published in Icon magazine. What a delightful laugh Marianne Panton has! Exuberant, friendly, self-confident. 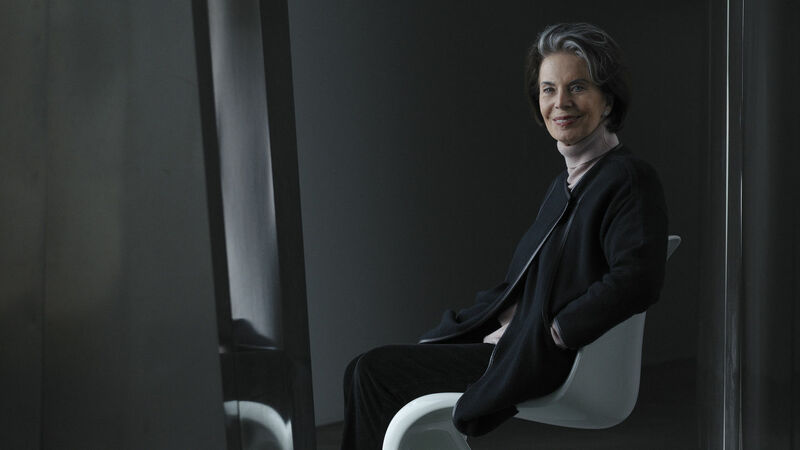 She spent 36 years at the side of the great Verner Panton, and now she is sitting in the lounge of the Vitra furniture company in Weil am Rhein. Marianne Panton, her husband’s lifelong advisor and manager, enjoys spending time on the Vitra Campus. 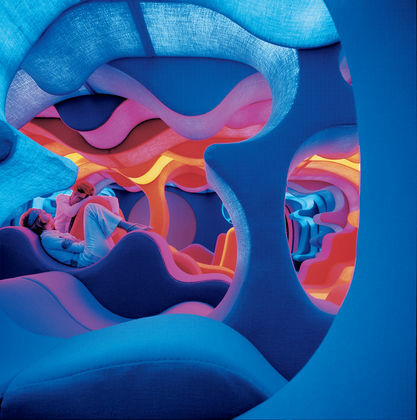 Many pieces created by Verner Panton, who died in 1998, are housed in the Schaudepot – the visible storage facility of the Vitra Design Museum, which also holds a large part of his estate. From the bright colours and curves of the Flowerpot Lamp to the tapered shape of the Cone Chair to the vibrant interior of the Spiegel canteen, his designs have gone down in history. 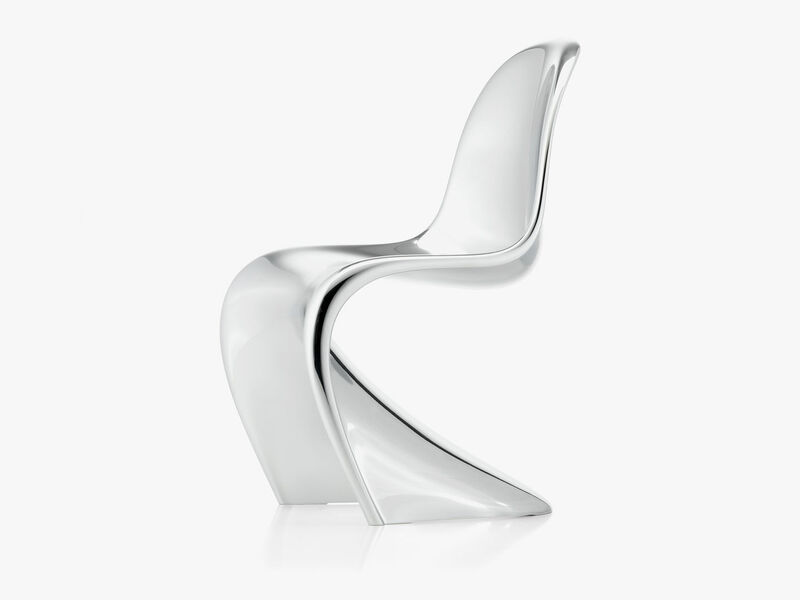 The Panton Chair remains unsurpassed as an icon of Sixties design. Fifty years after its initial launch, Vitra is now issuing two special editions: Panton Chrome (with a mirrored chrome surface) and Panton Glow (with a fluorescent finish). A good moment to reflect on the past with Marianne Panton. Mrs. Panton, what was your childhood like? Did you already have an interest in design during your youth? Not in the least. I come from the country – from the last row of potatoes, as we say in Sweden. My father owned a large farmstead where my brother and I grew up surrounded by numerous animals, which were needed to run the farm in those days. At that time, everything in Sweden was still very conservative. First I went to a normal rural school, then attended a girls’ school and later transferred to another secondary school. Finally, I studied at a business college, where I met my first husband. It was what we called a student marriage in Sweden: two naive children who got married. But we separated soon afterwards. Then I met Verner Panton in 1962. You met in Tenerife, where you were recovering from an injury – is that right? Yes, I had been injured in a motor scooter accident and had to walk with crutches for a long time. I was recuperating at a girlfriend’s villa. She was a Finnish countess who made beautiful haute couture. She owned a wonderful house in the traditional Canarian style with a lovely interior courtyard. There were always a few fashion models at the house, who would show the latest collection to tourists. 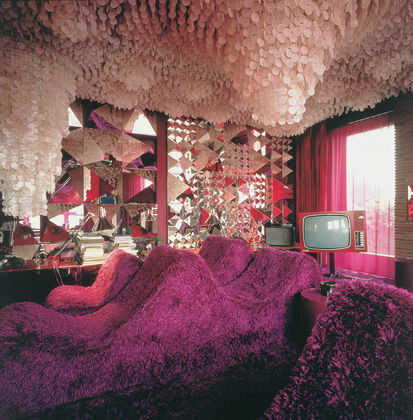 What was Verner Panton doing there? Taking a holiday! He claimed it was the first vacation of his entire life. He said that he had never taken a break from his work, up until that point. And it’s true – even in Tenerife he didn’t stop working; he always had drawing paper and a pencil on hand. When Verner arrived on the island, his travel agent sent him to us – back then he was already very interested in textiles. And as a trained architect, they thought he should see the house as well. One day – I was lying in a hammock in this beautiful garden – this man in blue clothing arrived and spoke to me. Asking whether he could take a look at the garden, and if he might be allowed to photograph the house. That’s how we met. And of course I couldn’t walk away, because my leg was in a cast. By that point he had already produced his first furniture designs, and had also made a name for himself as an architect. Did you know who he was? No, I had no idea. And the first time I visited him in Denmark, I was very disappointed. I expected a designer and architect to have an impressive house and lots of nice furniture. When I saw his place on the Øresund coastline in Copenhagen, it certainly was a nice house, with large windows that offered a beautiful view of the water. But he didn’t own any furniture at all. He had a Cone Chair, and four or five boards resting on painting trestles for his drawings. And old wooden beer crates, which he used as furniture. 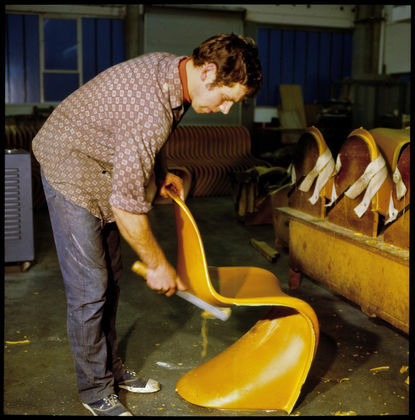 The Panton Chair was designed in 1960, but it took seven years to reach production. How important was this project to your husband? He always had a thousand ideas. 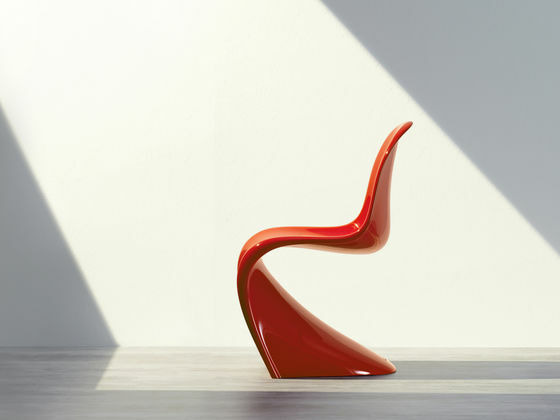 The Panton Chair was one of them, but it was very, very important to him. And that’s why Verner and I drove all over Europe with this chair: Milan, Cannes – we travelled far and wide in search of a manufacturer. 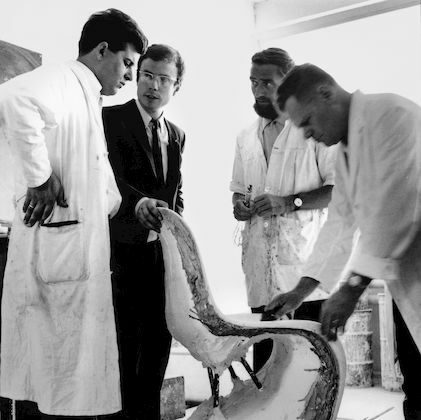 Why was it so hard for him to find a manufacturer for the Panton Chair? Many people thought it was interesting – but nothing more. They didn’t regard it as a chair. It looked like an amoeba! Besides, you couldn’t even sit down on the prototype! 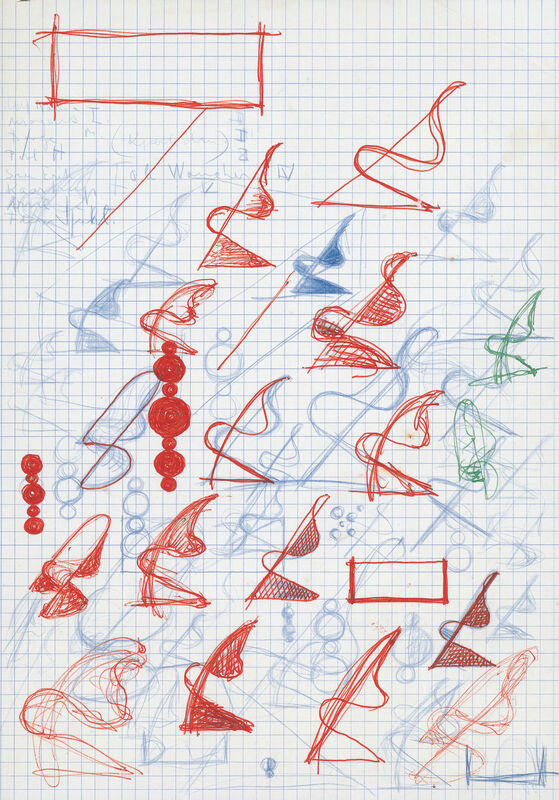 But Willi Fehlbaum, from Vitra, was interested, and Verner sensed that. So he visited him in Basel. They tried out a few things and but ended up putting the project on hold. Then one day Rolf Fehlbaum, his son, came by and spotted the chair on our terrace. 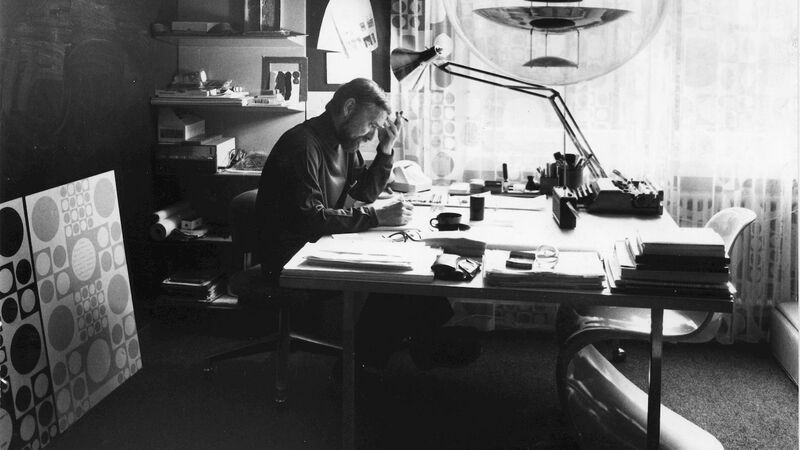 He brought Manfred Diebold over (then head of product development at Vitra – editor’s note), and they started to tinker with it. What was the problem with the early models? Plastic was only used to make buckets and that sort of thing. The idea of sitting on it was a very risky undertaking. Besides, the chairs were heavy and difficult to manufacture. After they came out of the mould, they had to be sprayed and sanded and sanded again. That was way too much work, which made the chairs very expensive. 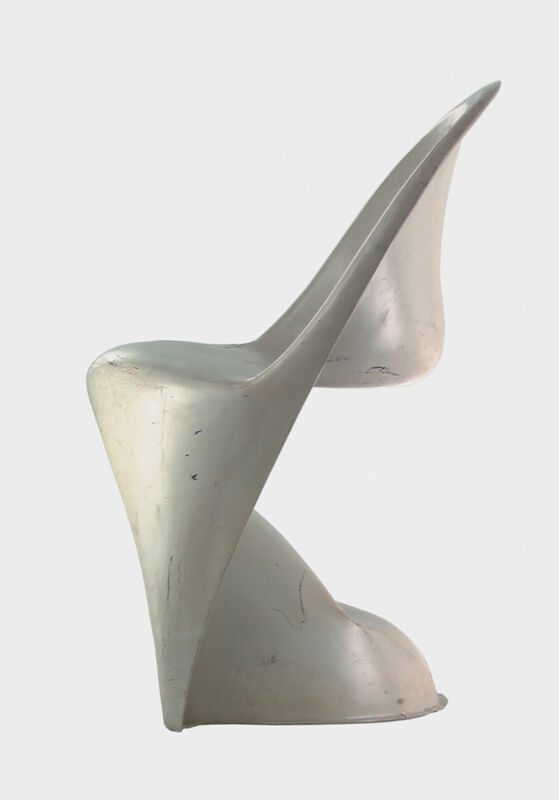 And Verner’s real intention was to produce a chair for the masses. It just wasn’t possible at the time. A lot of experimentation was needed before Vitra finally found the right material. 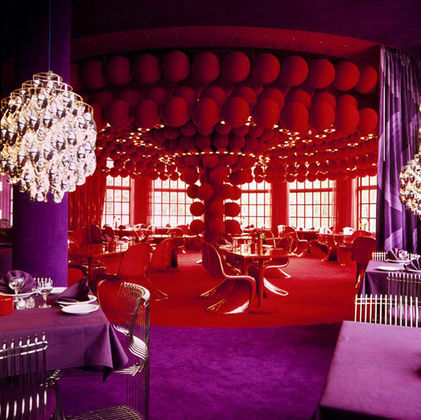 Where did Verner Panton get the inspiration for his colour schemes? Even as a student, he actually wanted to study colour psychology. He was already enrolled but quickly came back to reality when he was told that he would need another eight years to finish. By the way, red and orange were not his favourite colours. Blue probably was. And he would only wear blue: blue socks, blue underwear, blue suits. But for his designs, he liked to use colours that sizzle, colours that pull you in. 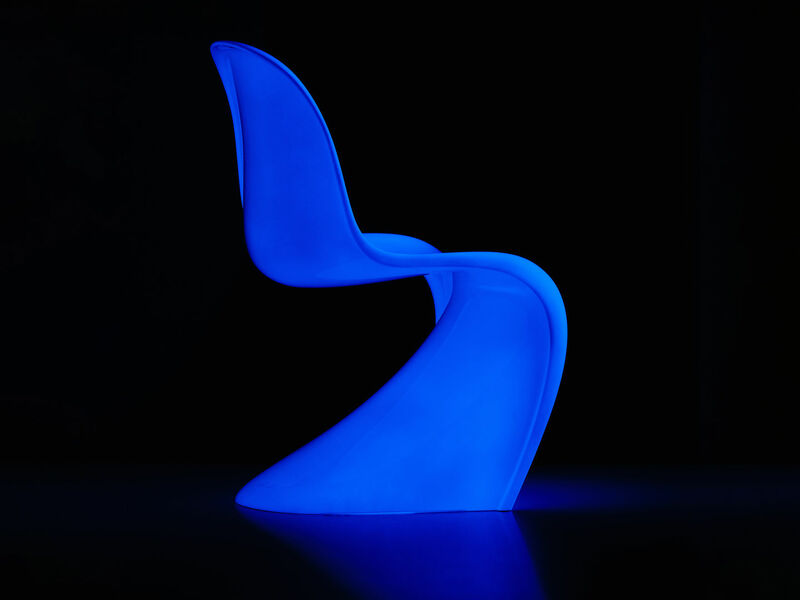 The new edition of the Panton Chair gives off a blue glow. Do you like it? (laughs) The ghost? Of course! I have one in my apartment. When you get up at night and walk through the room and then see this chair glowing in the dark, it really frightens you! The day it arrived, we experimented with it. Turned the lights on and off, and nothing happened. So we thought: Oh dear, this is a real flop. But at night it suddenly started to glow. Maybe it has to be exposed to daylight first. I think it’s a great idea. And Verner would have liked it – along with the new chrome version as well. It’s wonderful when chairs continue to be developed. 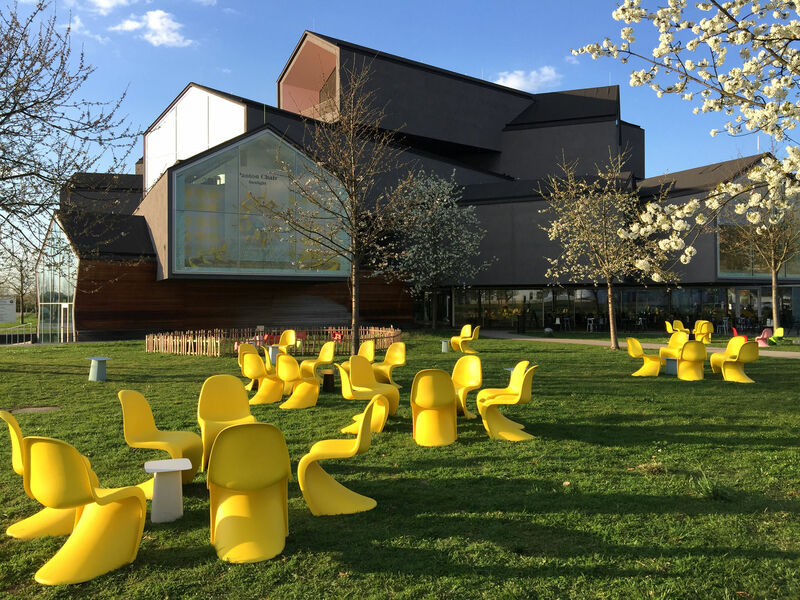 Last summer there were a large number of yellow Panton Chairs here on the Vitra Campus. They looked like animals in a meadow. As if they were alive! A veces basta con uno que crea en ti.